Memory is a way of holding onto things you love, the things you are, the things you never want to lose. Truth on Tape Video provides you with quality, economical solutions. We are dedicated to preserving your cherished videography to last forever. 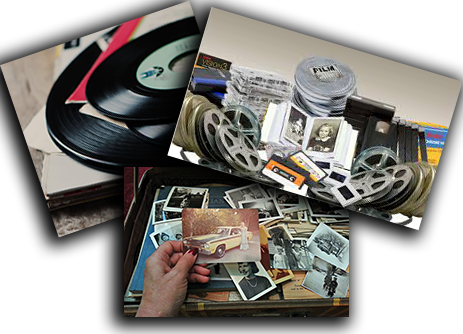 We specialize in preserving your old home movies and shoe boxes full of pictures and slides into digital format. 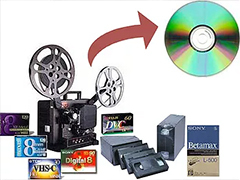 Everyone has memories – and sometimes they're trapped on obsolete video formats that require transfers from VHS to DVD or even to digital USB flash drives. But we think everyone should be able to watch their favorite home movie memories time and time again. 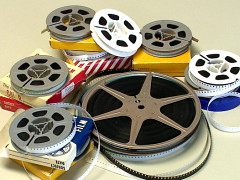 Whether an entire media library or a few boxes at a time, we will transfer reels frame by frame into digital resolution. You can store them away in a safe location so they are secure even if a disaster like fire or flooding strikes. 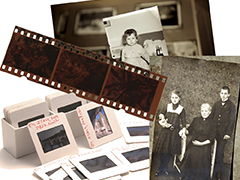 Whether it's to save cherished family memories or assure that your most valuable archived images will always be available, your complete digital archive will allow you to quickly locate your images when needed. If you're like most people, your family history is represented by piles of videos and slides passed down from previous generations along with a few that you made yourself before the digital revolution. Many companies and organizations also suffer from the same kind of aging, inaccessible, disorganized photo archives. This older material will soon be too far gone to ever recover – so all the memories, records and ideas will be lost forever. What's in your safe deposit box? Why not keep all your most precious video memories and irreplaceable photo records along with your other valuables? When a catastrophe happens, don't be like most people who lose a lifetime of treasured moments. Keep them safe and ready to share no matter what happens.. Yes, it's a lot faster, easier and more affordable than you might think. Best of all, we'll help organize everything for you and do all the work! Simply call or e-mail us so we can discuss the size and scope of your archiving project. We'll answer your questions, nail down all the details, provide an accurate estimate of costs and guide you through the process from beginning to end. Cost for this service will vary depending on how much you've collected over a lifetime. We can archive your entire collection all at once or break it down into more manageable projects to do over a period of months. Whether it's to save cherished family memories or assure that your most valuable archived company images will always be available, digitizing your photos now will spare you a lot of time, headaches and disappointments in the future. So let us create a convenient, reliable, imminently accessible new archive for you on DVD. Our services are affordable for almost anyone and our people are experts in the art and technology.